It is generally wise to date and initial Notes if more than one person is working on a case. Until a mediator has been assigned, notes are available to all mediation staff. 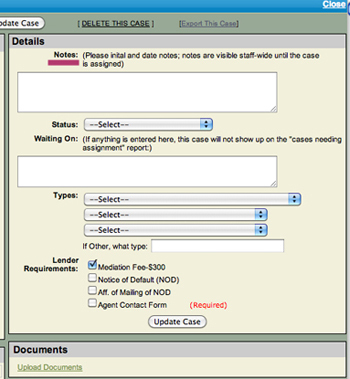 This allows staff to identify cases they are interested in. Highly confidential information should thus not be entered into case Notes before case assignment.